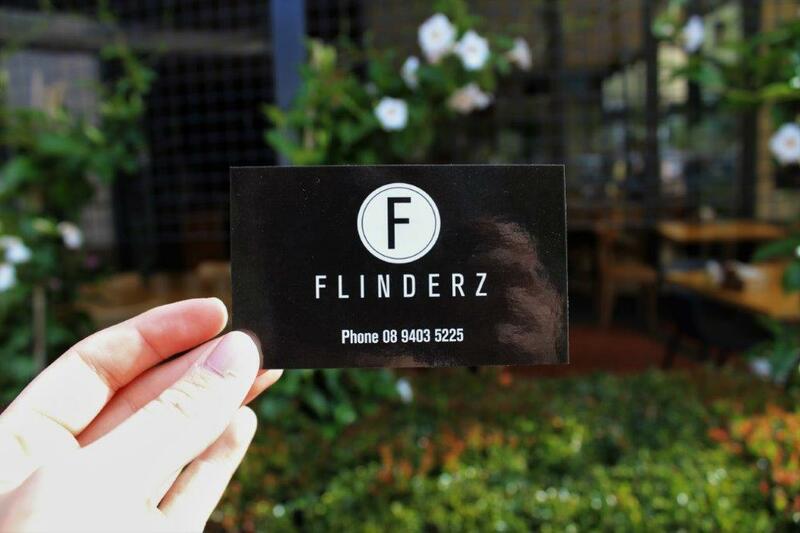 Tucked away in a small shopping precinct in Hillaries is the well-loved local gem that is Flinderz. 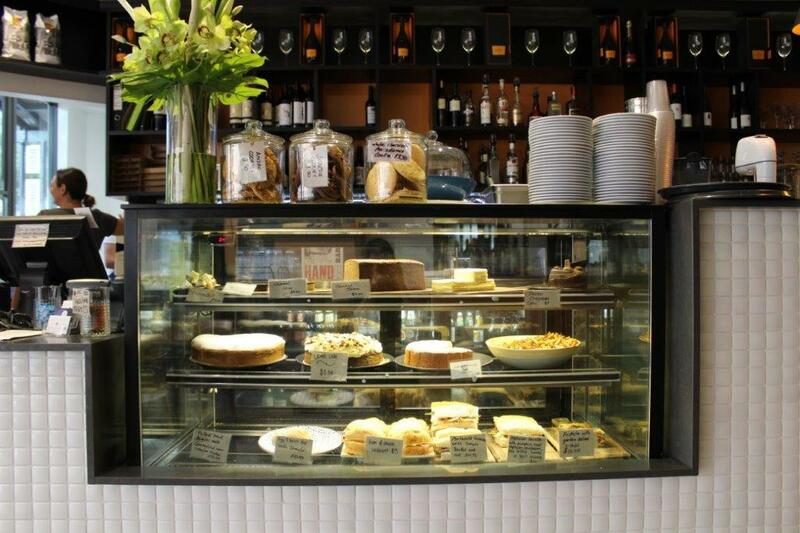 If you are in desperate need of a cosy sanctuary and a delicious meal, look no further than this ambitious Café. 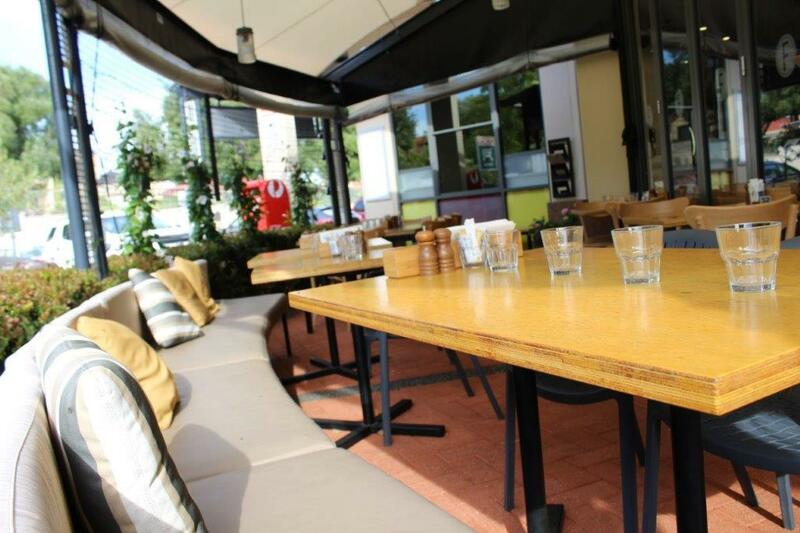 The interior is open and spacious, with tables sprawling out into the generous alfresco area. During the day, it is soaked in sunlight streaming in through the climbing vines. At night the atmosphere is transformed with dainty hanging lights and a soft glow from the indoors melting into the space. Paired with its casual air and the surrounding leafy foliage, it almost feels like you are in a secret garden party and definitely not in a shopping centre! You can enjoy the outside ambience during the colder months too with outdoor heaters at the ready. If you opt for a table inside, you will find modern décor with natural wooden panelling and geometric features. Dynamic couple Bree English and Paul Dean have taken over the everyday running of the restaurant as front of house and head chef respectively. Appointed around seven months ago, the pair bring experience and new ideas to the flourishing business that opened almost two and a half years ago. 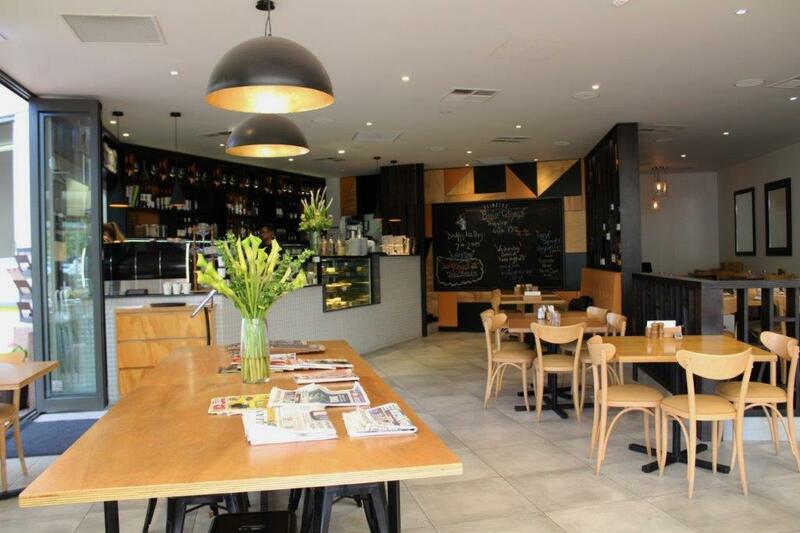 The laid back vibe even appeals to a handful of well-known sporting legends who frequent the café daily. The duo say they want their customers to be able to relax and come and go as they please, while they are provided with great service and excellent food. 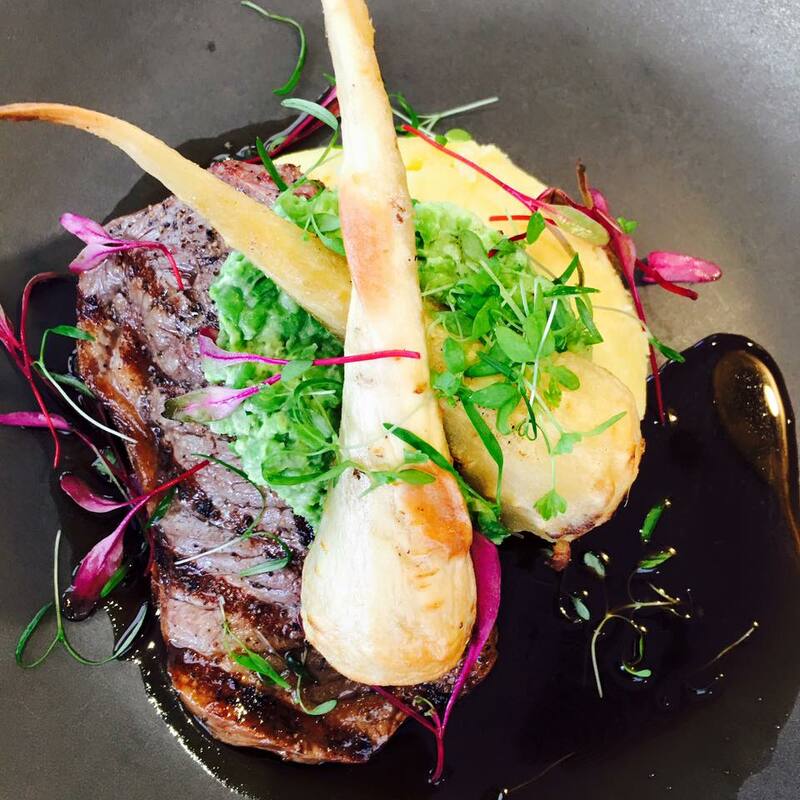 Since his appointment, Paul has worked closely with owners to cultivate a quality menu which is reworked every three to four months. This means there is always something new to discover and fall in love with every time you visit. Wanting to share the food they love to eat with their customers, the menu features dishes with diverse influences such as Asian, Spanish and Middle Eastern. Paul’s favourite dish is the Asian BBQ chicken breast with Lemongrass and coriander risotto cake, bok choy and star anise glaze. The paella is evidently worth a try, according to the couple who travel from Yanchep for it every week. Currently the menu is full of hearty favourites like lamb shanks and my personal favourite marriage made in heaven; pork belly and scallops. Excuse me as I drool all over my keyboard just thinking about it. 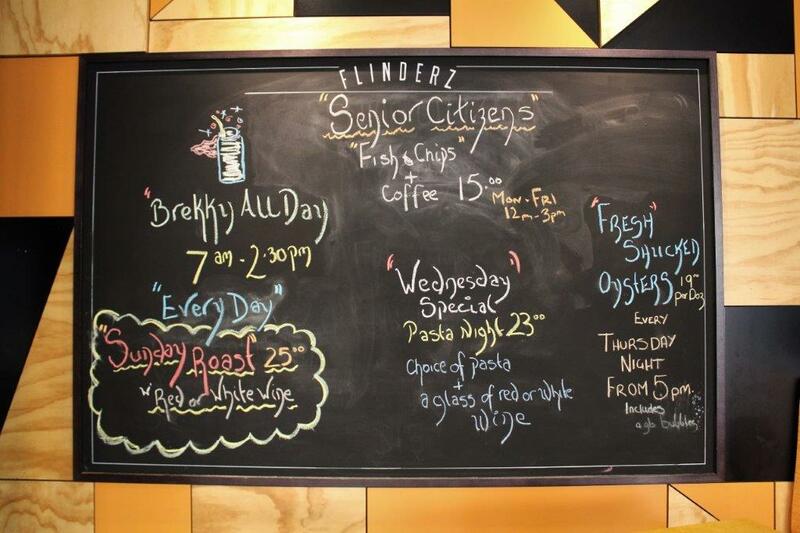 Breakfast is a big affair at Flinderz, seating around 200-300 people in a session on a Sunday morning. 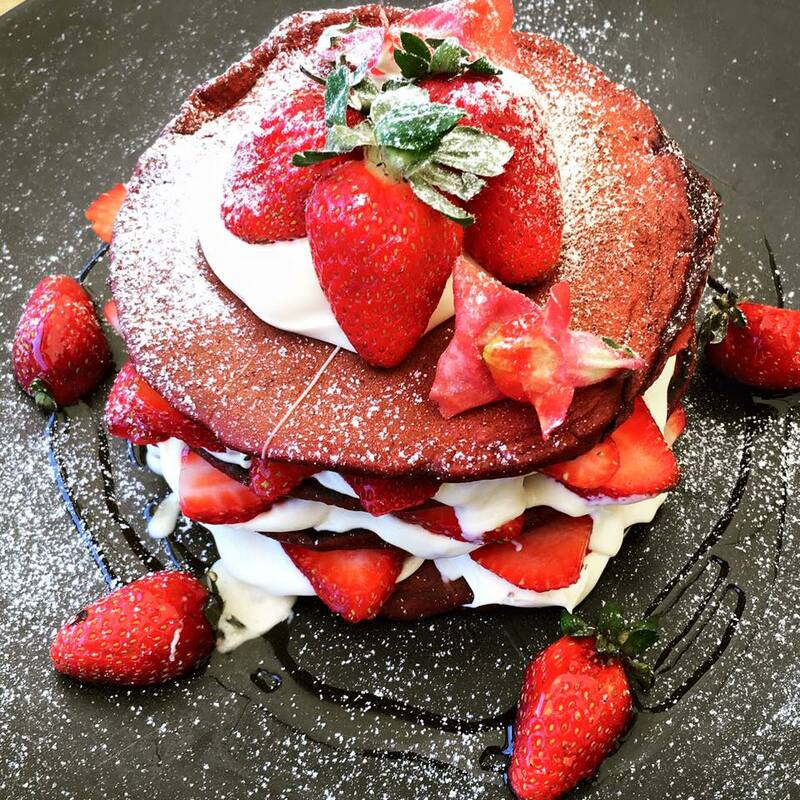 It’s not hard to see why with items like Red Velvet Pancakes and Granola with Vanilla and Saffron infused Panna Cotta and sour cherry coulis (desert AND breakfast! What could be better?). If you shy away from the sweet side, you can dig in to their 5 bean mix with grilled chorizo, poached eggs and super creamy hollandaise, or if you a really hungry, a humongous full breakfast with all the usual suspects that could possibly feed a small army. For all the late risers out there who need the sun to be dead in the middle of the sky before emerging from their covers, the good news is breakfast is served all the way up to 2.30pm. This also gives you plenty of time to drop in post workout (what better motivation do you need to hit the gym than a promise of carbs at the end?). Wash that all down with a selection of freshly squeezed juices (my close friend swears to me they have the best orange juice in Perth) or your morning latte and you have the perfect start to your day. They can even please your frugally conscious dad with the weeknight specials. 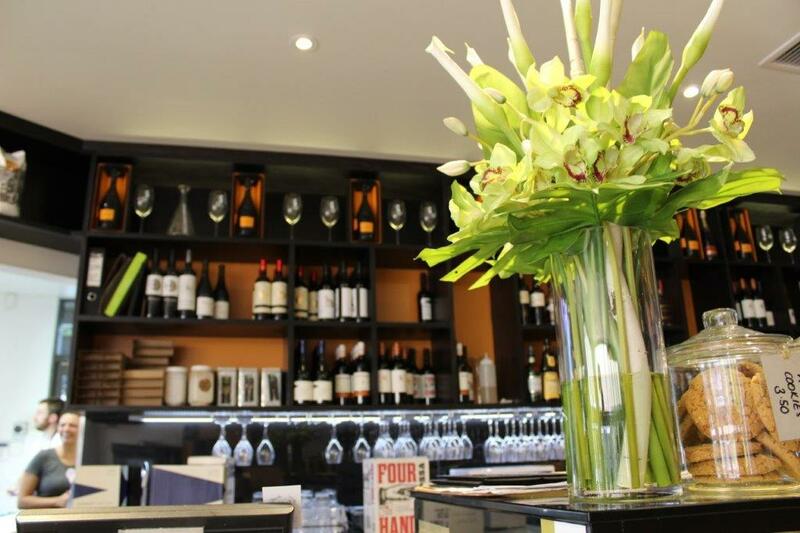 Head down on a Wednesday for pasta night, with your choice of pasta and a wine in hand for a meagre $23, or on Sunday for roast with a wine for $25. To my delight Thursday night is oyster night where just $19 dollars will get you a glass off bubbly and a dozen glistening wonders of the world. The Scottish guy from the thrifty ad would be proud of that value. 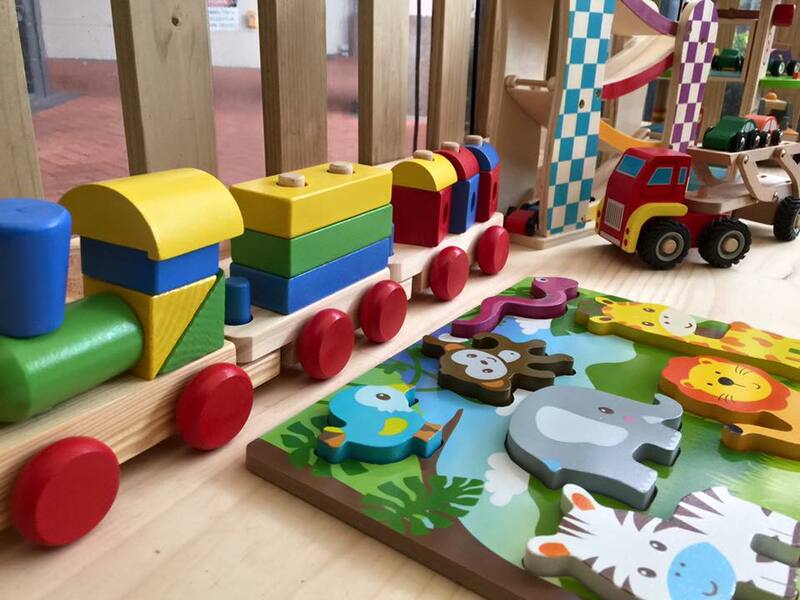 With kids of their own, Paul and Bree know the importance of having a child friendly environment, and have recently installed a kid’s corner filled with all kinds of toys to keep the little ones entertained. They also have several iPad's to lend out if the play pen doesn’t tickle their fancy. Not to be forgotten, there are child friendly menu options to satisfy their little tummies, with a price tag of only $6. Made with only fresh ingredients, it is sure to put a grin on their faces. In the next month they are hoping to put on a wine and food night to showcase local wineries and promote local products. The aim of the night is to support other local businesses and show off the amazing produce we have in WA. They hope to make it a recurring event every four weeks, so there are plenty of opportunities for you to get down and sample the best of our great state. Open 7 days a week, from 7am until late Wednesday to Sunday and 7am until 5pm Monday and Tuesday.